From a humble beginning in 1924 at the YMCA in Santa Ana, California, Toastmasters International has grown to become a world leader in helping people become more competent and comfortable in front of an audience. The nonprofit organization now has 292,000 members in nearly 14,300 clubs in 122 countries, offering a proven – and enjoyable! – way to practice and hone communication and leadership skills. A Toastmasters meeting is a learn-by-doing workshop in which participants hone their speaking and leadership skills in a friendly atmosphere. 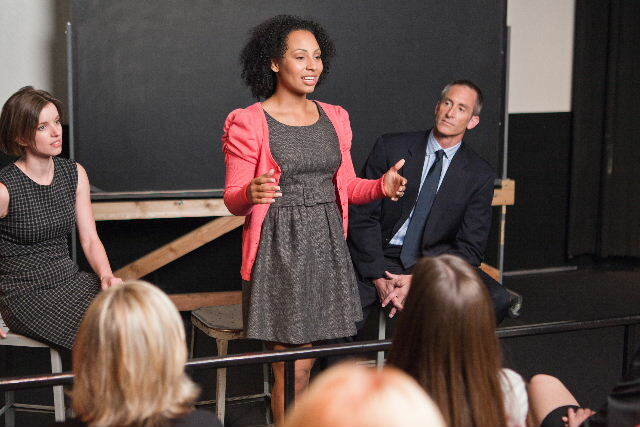 A typical group has 20 to 40 members who meet weekly or biweekly to practice public speaking techniques. Members learn communication skills by working in the Competent Communication manual, a series of 10 self-paced speaking assignments designed to instill a basic foundation in public speaking. Participants learn skills related to use of humor, gestures, eye contact, speech organization and overall delivery. When finished with this manual, members can choose from 15 advanced manuals to learn skills related to specific interests. Members also learn leadership skills by taking on various meeting roles and serving as officers at the club and district levels, and by working in the Competent Leadership manual and the High Performance Leadership program. In our learn-by-doing approach, we don’t lecture our members about leadership skills; we give them responsibilities and ask them to lead. There is no instructor in a Toastmasters meeting. Instead, members evaluate one another’s presentations. This feedback process is a key part of the program’s success. Meeting participants also give impromptu talks on assigned topics, conduct meetings, serve as officers in various leadership roles and learn rules related to timing, grammar and parliamentary procedure.